Do you feel hard to make decision when facing different video encoding formats for a video format? Definitely, users may often come across this kind of situation during the period of video converting. For example, the one would be puzzled about the difference between H.264 and MPEG4, if he/she desires to convert video to iPhone 6 and the converting software will provide two available options like iPhone 6 (H264) and iPhone 6 (MPEG4). Never mind, the following content will give you an exhaustive comparison about H.264 VS MPEG4. H.264, also known as MPEG-4 Part 10 – Advanced Video Coding (MPEG-4 AVC), is served as one of the most commonly used formats for the recording, compression and distribution of video content. Developed by the ITU-T Video Coding Experts Group together with the ISO/IEC JTC1 Moving Picture Experts Group, H.264 is known to us perhaps because it is one of the video encoding standards for Blu-ray Discs and all Blu-ray Disc players can decode H.264. Developed by ISO/IEC JTC1 Moving Picture Experts Group, MPEG-4 is a method of defining compression of audio and visual digital data. MPEG-4 is still an evolving standard and is divided into a number of parts. The familiar parts for people include MPEG-4 Part 2, MPEG-4 part 10 (MPEG-4 AVC/H.264 or Advanced Video Coding). 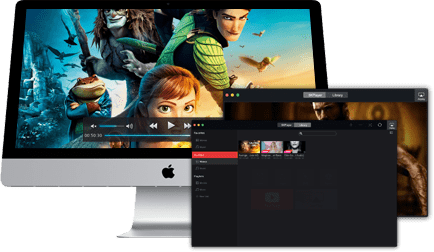 MacX Video Converter Pro - seamlessly convert H264 MPEG4 video and compress videos to smaller file size for uploading to YouTube, Vimeo or E-mail with intact quality. Also free download video (3D Blu Ray) from YouTube, Vimeo, Facebook, Vevo, Dailymotion, etc. 300+ video music sharing sites. Surely, H.264 has a very broad application range which covers all forms of digital compressed video from low bit-rate internet streaming applications (including videos from Vimeo, YouTube, and the iTunes Store, web software such as the Adobe Flash Player and Microsoft Silverlight) to HDTV broadcast and Digital Cinema applications with nearly lossless coding. While, MPEG-4 is used to compress AV data for web (streaming media), CD distribution, voice (telephone, videophone) and broadcast television applications. 1. Has higher coding efficiency. 2. Can provide high-quality video images at the low bit rate as well as the low bandwidth. 3. Improved the network resilience: H.264 can work in real-time communication application low-latency mode, such as video conferencing. 4. Has less encoding options than H.263. 5. Become more complex: The encoding computational complexity of H.264 is approximately three times of the H.263 and the decoding computational complexity is equivalent to twice of H.263. 1. Be able to encode mixed media data including video, audio and speech. 2. Improved coding efficiency over MPEG-2. 3. Be capable of interacting with the audio-visual scene generated at the receiver. 4. Error resilience to enable robust transmission. Wanna to know more video formats comparison? Please read H265 VS H264, MKV VS MP4, MP4 VS AVI. 5KPlayer - 100% free video player to play H264 MPEG 4 MP4 MKV AVI FLV MOV WMV 3GP AVCHD MTS MP3 DVD, etc. Free download video from 300+ sites, stream music video from iPhone iPad to Mac/PC and AirPlay media from Mac/PC to Apple TV (4). Which is Better: H.264 or MPEG4? Although these two encoding format is used in different area due to different advantages and disadvantages, many people prefer H.264 to MPEG4 no matter in video quality, size or other aspects. Now, we begin to summarize why H.264 is more superior. 1. One of the advantages of H.264 is the high compression rate that is about 2 times more efficient than MPEG-4 encoding. To put it in another way, the high compression rate makes it possible to store more information on the same hard disk. 2. 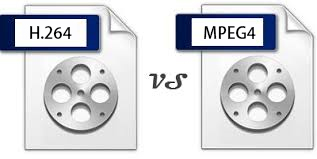 H.264 VS MPEG4 quality: The image quality of H.264 is better and playback is more fluent than MPEG4 compression. 3. H.264 owns more efficient mobile surveillance application. Since H.264 adopts the highly efficient compression technology which can reduce the large file sizes and bit rates generated without compromising image quality, users are suggested to convert movies/videos to H.264 encoding video formats if they want to store high image quality video resource on mobile devices. And some outstanding video converters will add notes related to encoding video and audio formats by the side of your chosen output profile. 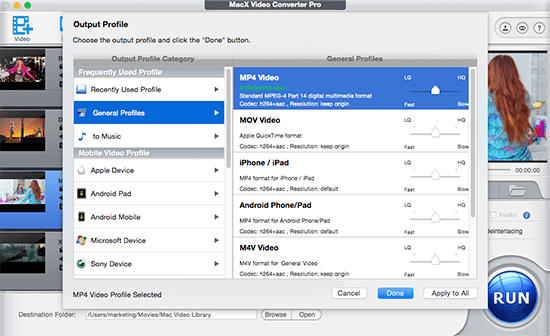 MacX Video Converter Pro is a typical one. More specifically, this converter for Mac is an all-around video converter designed for Mac users. Built in more than 370 video and audio codecs, it is capable of convert any videos to over 180 video formats and 14 popular audio formats on Mac OS X (Mojave included), such as convert M2TS video to MP4 format with H.264 codec or with MPEG-4 codec. Similarly, in order to bring much more convenience to users, the available 350 preset profiles from this Mac video converter also give clear indication of video codec. By the way, the 5X converting speed and original video quality reserved feature will give you more surprise in the process of converting.